Horton Middle School PTSA is seeking your input to improve how the PTSA communicates, operates and areas of interest the PTSA should focus. Family involvement in Horton Middle School is fun, informative, and most important of all, helps our children perform better in school. Please take a few minutes to fill out this survey so the PTSA can better serve our school, the students, and families. 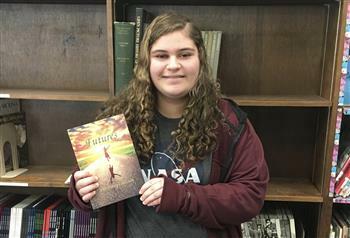 Want to buy a yearbook for this school year? Visit this website and enter school code 2001. 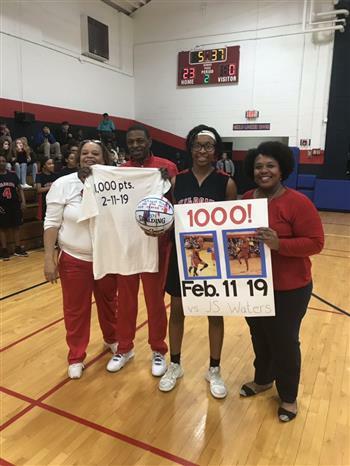 Eighth-grader Te'Keyah Bland made Horton Middle School history as she scored the 1,000th point of her middle school career on Monday, Feb. 11, 2019, at the Chatham County Middle School tournament game against J.S. Waters. Our first Talk with Toomer was a successful meeting for parents! The new meeting time of 7:15 am seems to be a good fit for our busy families! 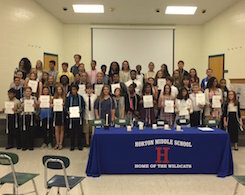 The HMS chapter of National Junior Honor Society inducted new members. What a great way to celebrate Horton scholars! Unity Day proclaims our stand against bullying. 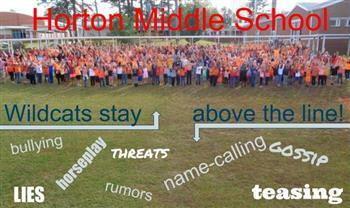 Bullying tactics are below the line of accepted behavior, so HMS students and staff stay above the line! 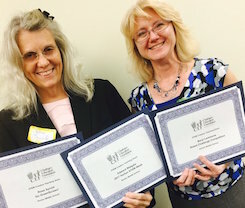 CEF has awarded 3 grants to HMS for STEM related projects! Look for STEM supplies, green screen digital effects and a robot competition coming soon! 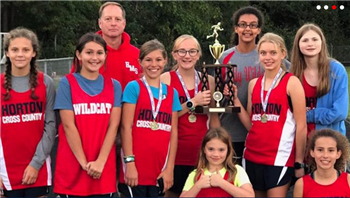 HMS Girls Cross Country finished 2nd in the district! Congratulations Wildcat athletes! 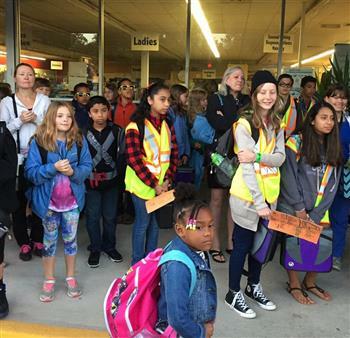 October 4th was National Walk to School Day and lots of HMS students and parents participated. Thank you to the police force and teachers who joined in the walk! 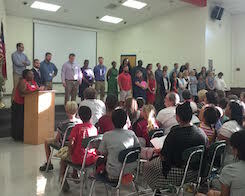 HMS Open House was a HUGE success and standing room only! 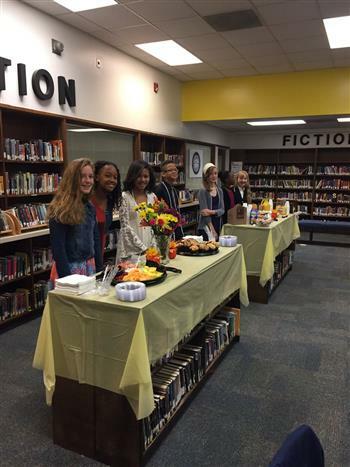 Thank you to all the stakeholders who came out to welcome all the students and staff! HMS Staff participated in a special team building outing at the Triangle Training Center. We are starting early in our quest to "reach for the stars!" 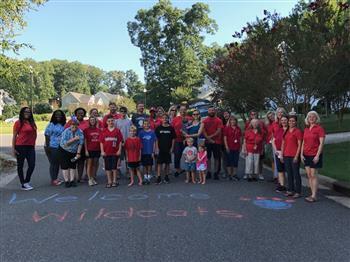 HMS Staff went out into the community to talk to stakeholders and welcome students back to school! Teachers were able to watch the solar eclipse during a teacher work day. 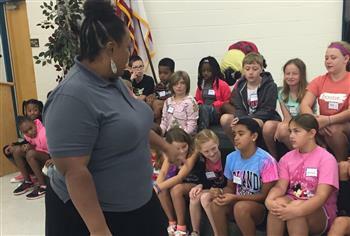 5th grade students had a wonderful week of introductions and instructions at the HMS 5th grade Academy!